A traditional set of beautifully designed Advent Calendar pegs featuring a Victorian Christmas design. 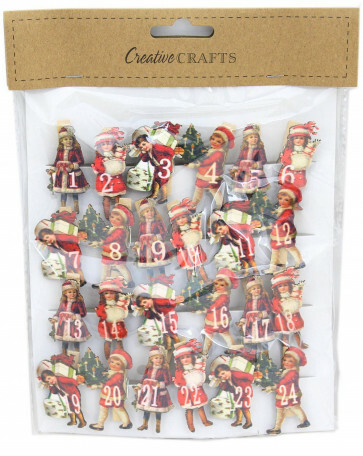 Can be used to create your own Advent calendar or used to hang your Christmas cards from. Why not write a little Christmas note to clip to each peg that can be read by a loved one each day.